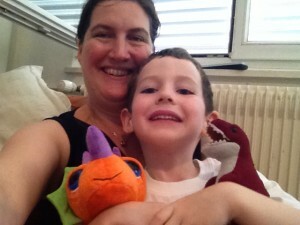 Patrick's 5th Dinosaur Birthday - Time for a nice cup of tea? 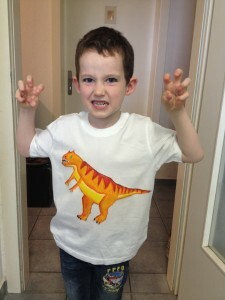 Patrick's dinosaur phase is in full swing, hence the theme of his 5th Birthday party. 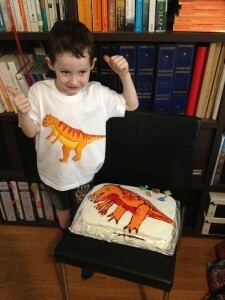 I was happy with the tshirt, the cake not so much. 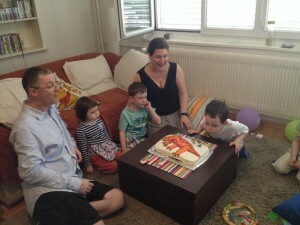 In my diplomatic elder son's words "Mummy, I don't want to upset you, but I think the dinosaur on the cake looks more like a bird!" Markus, I could not agree more :-) Ho hum, you win some, you lose some! In any case, fun, small, low key party. 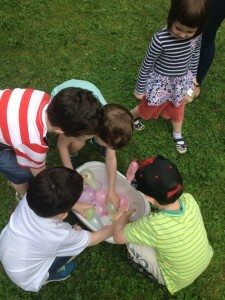 Lots of dinosaurs, eating, water bomb balloons and football outside.